Dragon awakens aboard the gigantic spaceship that has served as the home of the entire Krylan race for generations. He is confused by his new surroundings, his attire and the reason that he is addressed as Emperor Kurr. In an effort to clear things up for his father, Emperor Krull introduces himself in the hope that this will jog part of his memory. Dragon has no idea what is being referenced and his inability to recall Krull upsets the young emperor. This whole affair is dismissed as an elaborate ruse by Dragon and he asks that everyone come clean about the situation. DarkLord reveals his presence in the hope that he can resolve the confusion. The sight of his old enemy instantly alarms Dragon and he grabs DarkLord around the throat and assumes that he is behind everything that is happening to him. Krull quickly attempts to calm things down by revealing that it was DarkLord who revived Dragon. The hero reluctantly releases his grip but declares that the forthcoming explanation better be a good one. DarkLord talks about how the monster known as Virus had absorbed Dragon’s consciousness along with several others. When the two got into a physical confrontation, Dragon suffered a severe head injury which destroyed much of his brain. When the injuries healed, Dragon’s original persona returned and Emperor Kurr was reborn. 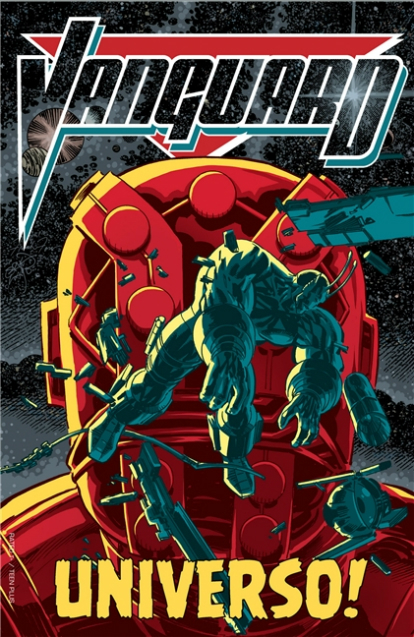 Kurr’s original plan to exterminate humanity so that the Krylans could claim Earth as their new planet is then spoken of. He was betrayed by two scientists who erased his memories and replaced them with satellite broadcasts, creating the entity that became known as Dragon. This whole story is dismissed by Dragon as a fabrication but Krull does his best to assure his father that this is the truth. Dragon is convinced that his surroundings are nothing more than a clever movie set and that DarkLord is messing with his mind. The past encounters with DarkLord are mentioned, specifically the deaths at his hands of Rapture and Jennifer Dragon. Unwilling to trust his old nemesis, Dragon flees the resurrection chamber and bursts out into an open space. Dragon is alarmed by the sheer sight of the Krylans who all react to their returning Emperor Kurr. The shock of all of this finally overwhelms Dragon and he collapses to the ground before getting taken to a bed chamber to recover. Dragon awakens in bed and is greeted by Lorella who reveals that she had always feared the return of Kurr. Dragon assures her that he is a completely different person. He has also begun to slowly accept that he is not being lied to as everything is far too elaborate and linear to be a dream or false surroundings. Dragon and Lorella end up sleeping together and Krull walks in on the pair, quickly getting sent away by his annoyed father. Krull speaks with DarkLord about his father and is disappointed that Kurr has not been resurrected but rather a completely different entity. He is assured that this is better for everybody before the pair get interrupted by Dragon. He wishes to know why DarkLord would revive him as they are far from allies. The fact that their Darkworld counterparts were allies has no bearing on them and Dragon cannot see why they should be allies now. It is then that Kurr’s actions are shown to Dragon, from the murder of Dark Dragon to the release of a death mist that exterminated all human life on Earth. DarkLord did not interfere in this world and as a result, Dragon succeeded in destroying the planet, albeit in a different guise. The destruction of Earth distresses Earth but DarkLord explains that another reality was created when another version of the pair of them traveled back into the past and altered events. DarkLord had resurrected Dragon from the remains of Kurr and the monster Virus and they then went back in time. Kurr was killed by Dragon before the mist could be unleashed before DarkLord in turn killed Dragon. In this new reality, DarkLord still restored Dragon to life but Kurr had already been dealt with. 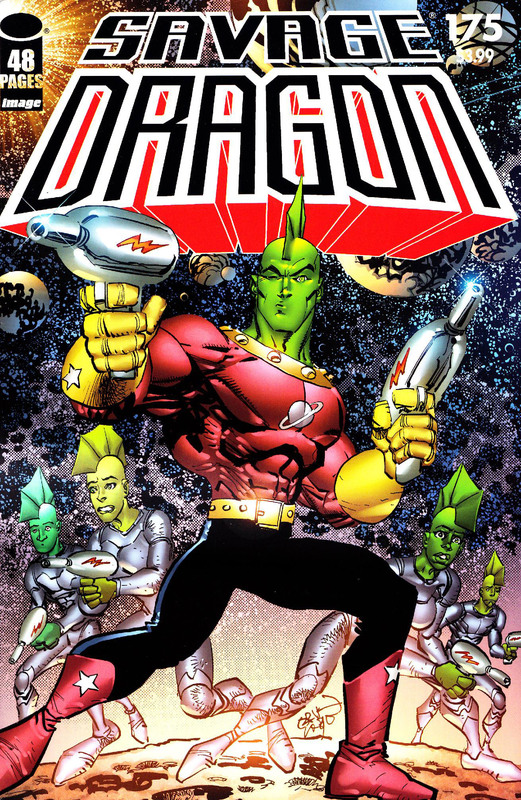 Dragon is thought to be dead now by the people of Earth and his life has begun anew on the Krylan spaceship. Some time passes and the Krylans come across a planet that would be perfect for their needs but a form of rudimentary life already exists. They rule it unsuitable because of this reason but Dragon insists that he be allowed to form an exploration party. He takes his crew down to the planet to look at things, pointing out to his companions that it must be good to experience some fresh air. Dragon notes that the Krylans are being too selective with their choices for a new world and dismisses their religious prophecies about finding a perfect planet. A large tree monster emerges and assaults Dragon who calls to his companions to use their weapons to open fire. Their strong love of all life overwhelms them and they refuse to act, leaving it to Dragon alone to defend them. He destroys his assailant before taking the scouting party back up to their vessel. A woman named Linda is taken hostage by the Vicious Circle thug known as Brain-O who has been in love with her form some years now. He used to be a man named Harold who had been told by Linda that she wished to date a man with some brains and was not interested in looks. 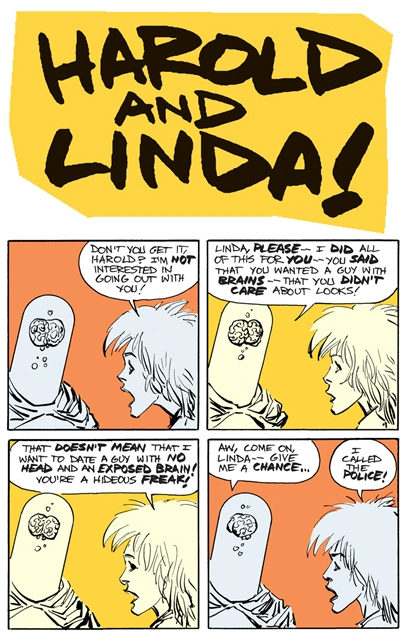 Harold took that statement literally and had himself transformed into a being with an exposed brain, completely missing the point that Linda was trying to make. Dragon answers the distress call made by Linda before her abduction and prepares to arrest her captor. Brain-O had been expecting the authorities and unleashes an army of robots upon Dragon. Unfortunately for him, Dragon soon destroys the robots and as the debris flies through the air, a shard impales Brain-O’s brain. Dragon checks on Linda to make sure that she did not suffer any injuries from the flying debris but she notes that Brain-O had shielded her, sacrificing his own life to protect hers. A report is filed by Vanguard as he battles against Mother Mayhem, the herald of the Devourer of Worlds known as Universo. He defeated the villainess before teleporting down to Earth to face Universo himself who was in the process of draining the planet’s energies. Vanguard summoned down Lurch to assist him and instructed the sentient Morphling to make physical contact with Universo so that he could become another version of the cosmic entity. Unfortunately for the people of Earth, having two Universo’s on the planet merely hastened its destruction and the whole world was consumed. Vanguard narrowly avoided death by teleporting a great distance, arriving on Ganymede, one of Jupiter’s moons. His vessel had been blown up when Earth was annihilated and his life support systems were failing. Vanguard’s last act was to record this message and broadcast it to his home planet of Kalyptus. With the report dispatched, Vanguard thanks all of the participants in an elaborate ruse created using his spaceship’s holographic training systems and the Morphlings. With the apparent destruction of Earth and his own death, Kalyptus should have no need to come for them and the alien group can remain on their adopted planet forever. Roxanne Wells celebrates with her boyfriend, ecstatic that he will not be leaving her.